Prior to last week’s hearing in Texas where attorneys for half of the country’s states asked a federal judge to find that President Obama’s executive order pertaining to immigration is illegal, two national police chiefs’ associations and 27 individual police chiefs and sheriffs filed a brief supporting its legality. The amicus (friend of the court) brief was signed by the police chiefs of Los Angeles, San Francisco, Seattle, Boston, Philadelphia and Denver, and the sheriffs of Dallas County and El Paso County in Texas, among others. Their brief argues that that the executive action “will improve public safety by encouraging community cooperation with police.” and that providing undocumented immigrants the opportunity to have verified, secure identification “aids law enforcement in carrying out its day to day duties.” Their position echoes the views of more than 100 legal and constitutional scholars who sent a letter to Obama, before his announcement of the order last November, stating that the deferral of deportations even of millions of undocumented immigrants falls squarely within the executive branch’s legal authority to exercise prosecutorial discretion, and bears similarity to less extensive actions taken by previous presidents. 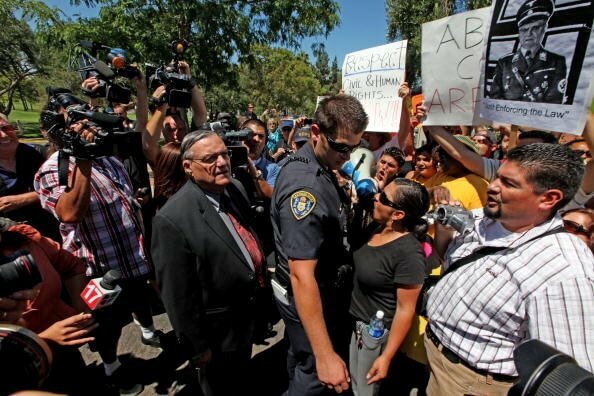 This advocacy in support of the President’s action stands in stark contrast to the position of certain police chiefs and sheriffs in the State of Arizona which itself has been a hotbed of confrontation over immigration issues for many years now. This reflects the great divide in this country over the incendiary issue of whether adults and children who came to the United States without proper documentation for entry should qualify to stay and work here. As indicated in a separate blog post on this site, the U.S. District Court judge hearing the case in Brownsville, Texas has yet to issue a decision on the plaintiffs’ request that the court enjoin the executive branch from proceeding with the implementation of the President’s directives.